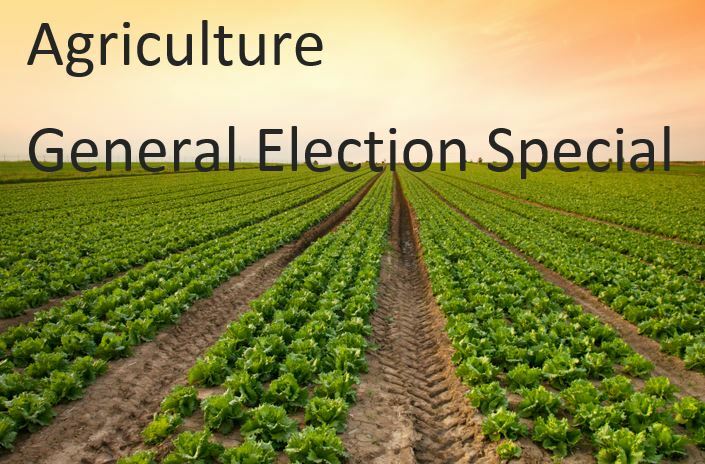 The General Election is just around the corner, so we take a look at what some of the parties are promising in this Agriculture Election Special. The Conservative manifesto has pledged to maintain support payments at their current level until 2022, which is an extra two years over current pledges, while Defra Minister George Eustice has told Farmers Weekly that a new support system to replace the CAP may not be ready until 2025. Meanwhile, support for the Conservative party amongst farmers appears to have increased since the last election, at the expense of support for UKIP. A similar poll prior to the 2015 General Election showed UKIP on 11%, Conservatives on 59% and Lib Dems on 3%. In a Farmers Weekly interview, Defra Farm Minister George Eustice said it was important to give farmers guarantees on the level of support for the next five years with a funded agricultural policy. He stated that a good Brexit deal would give the UK a comprehensive free trade agreement. He added that immigration will not end and a series of work permits could be put in place. Labour agriculture spokeswoman Sue Hayman said the party would replace the Conservative Brexit White Paper with fresh negotiating priorities. In a Farmers Weekly interview she said Labour will maintain farm payments until 2020 but then rebalance future funds towards support for smaller farms, productivity, innovation, animal welfare and environmental stewardship. She said that a potential labour crisis would be reduced by immediately guaranteeing existing rights for all EU nationals living in Britain and re-instate the Seasonal Agricultural Workers Scheme. Lib Dem party leader Tim Farron has said in a Farmers Weekly interview that the two fundamental issues for agriculture are access to markets and access to funds. He pointed to 75% of all British farm exports ending up in the EU and the adverse impact of tariffs on farm incomes. He pointed to the overseas market as a good competitive factor to counter price pressure from domestic supermarkets. He concluded that the best Brexit deal for farmers was one that kept them in the single market. He also recognised the need for direct support payments as a financial lifeline and an immigration policy that was good for agriculture.